I’m traveling in Phnom Penh-Cambodia today. On the way from the airport to the hotel by tuk-tuk (a traditional public transport), I found several bad traffic. 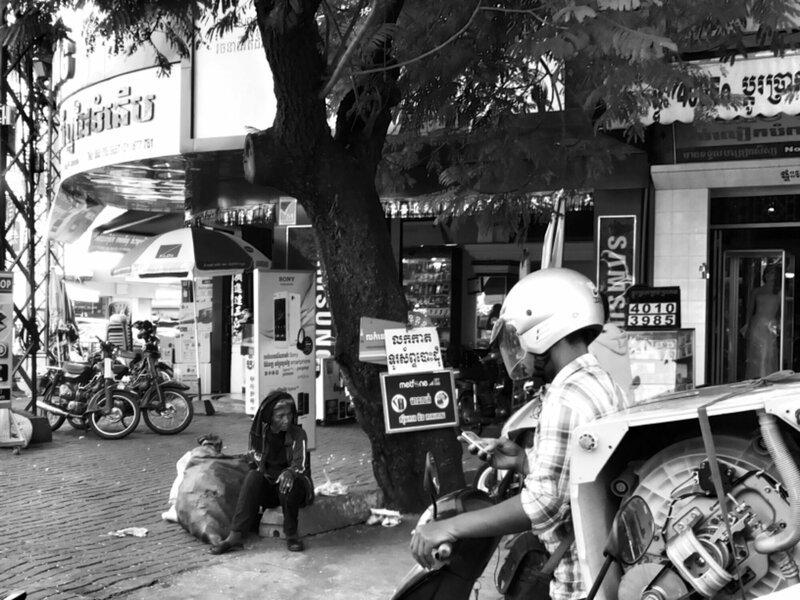 While its bad traffic, I tried to take some pictures of street life with my samsung smartphone. Many beggars, it is ranging from children to the elderly. It remind me to my hometown, Jakarta. There are many beggars too in Jakarta. And it’s seems become a job that promise high income. Many of them who earn income exceeds the salary of civil servants. 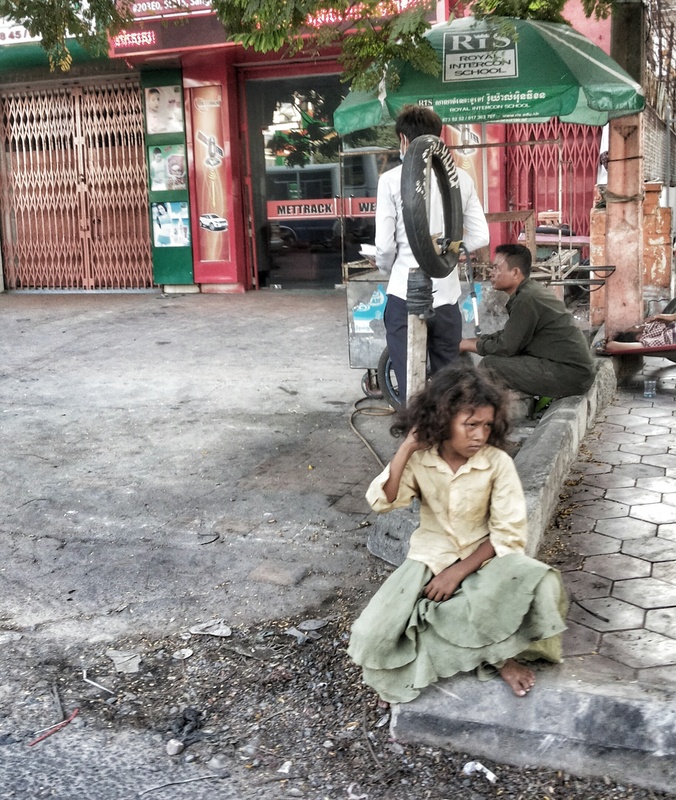 So, what about the beggars in Cambodia? An interesting view of Cambodia. Iya nih.. hehehe.. tadinya udah nyerah aja sm tema minggu ini. Susaaahh buat saya. Apa kabar dikau si brlahan bi sana? Dah lama gak ikut challenge nih mba. Aamiin… moga nanti bisa ketemuan yaa.. brp tahun lg pulangnyaa? ?